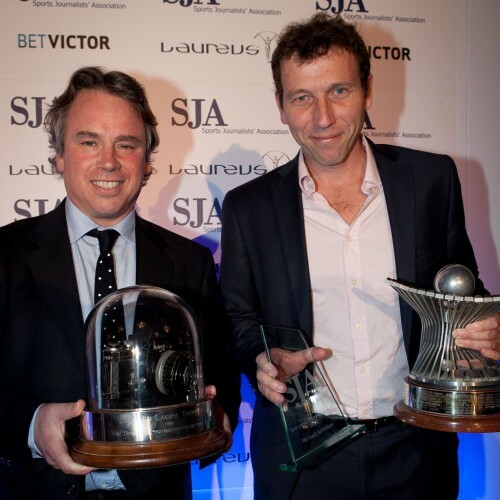 Michael Atherton stood among the debris of the SJA British Sports Journalism Awards dinner and contemplated his unique position as a top-level sportsman who had successfully made the transition to first-class sports journalist. It had been a pretty successful night for the former England cricket captain and opening batsman. 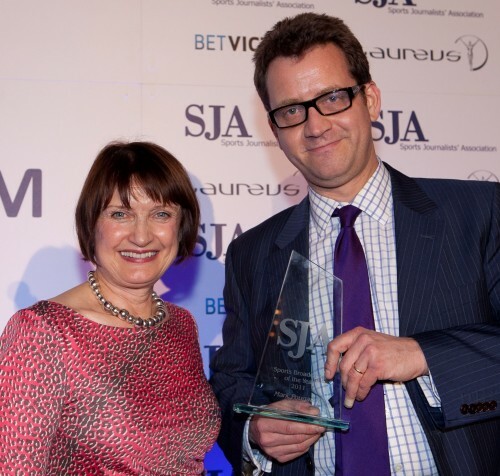 The Association has been involved with the presentation of the Sports Writer of the Year award for 35 years, and Atherton had walked away with that prize together with the title of Specialist Correspondent for his work as cricket correspondent of The Times. 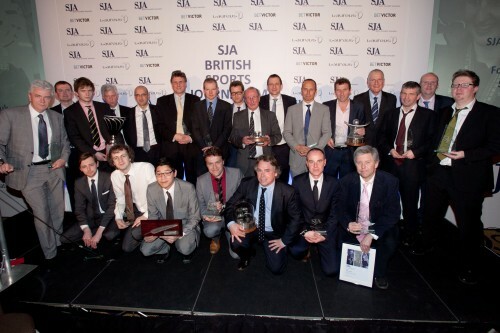 Atherton was also entitled to a share of TV Sports Programme of the Year, won for the second year by Sky Sports’ cricket team, in which he plays a key role as commentator, interviewer and pundit. Judges of the Specialist Correspondent category found Atherton’s writing “in a class of its own”. It was, they said, full of authority, reasoned opinion and understanding. As Jackie Brock-Doyle, Director of Communications for London 2012, said in reading the citation: “You might say he has won by an innings”. Atherton has been here before, of course, as winner of Sports Writer of the Year for 2009. The big difference this year, as he admitted, was that he was able to attend the awards dinner for the first time and savour the acclaim. This year, that came from nearly 400 senior figures from British media and sport at the Grand Connaught Rooms in Covent Garden, the event being sold out weeks in advance – the first time that has happened in half a dozen years at least. “I’m usually in some far-flung corner of the globe covering cricket at this time of year so I’m really pleased to have made it here at last,” said Atherton, whose next assignment will be England’s first Test against Sri Lanka in Galle at the end of March. The SJA dinner was touched by a moment of poignancy when Edward Whitaker, of the Racing Post, was adjudged Sports Photographer of the Year for a second time. Proudly holding the Ed Lacey Trophy, he dedicated his win to his father, Daily Mirror Royal correspondent James, who died in February. There was humour, too, when Oxford United fan Ed Hawkins, who has had a job with The Times since winning the SJA/BetVictor Sports Betting Writer Award 12 months ago, used his acceptance speech after taking the prize for a second time to tap up compere Jim Rosenthal – a director of the club – for tickets. There was pride when Chris Welch took the stage with former Commonwealth 1,500m champion Lisa Dobriskey to announce the first winner of the David Welch Student Sports Writer of the Year, set up in memory of Chris’s father, the former sports editor of the Daily Telegraph, who died last year and had been chairman of the organising committee for these awards. The inaugural winner, taking home the evening’s largest trophy (“We got it off the internet,” Chris Welch explained), was Michael Taylor, a 23-year-old from Ballymena in Northern Ireland, studying at Gonville and Caius College, Cambridge. And there was nostalgia. In a year which saw the sudden closure of Britain’s largest-selling Sunday newspaper, the News of the World – just weeks after they won the SJA’s Scoop of the Year prize – Screws’ sports desk veteran Freddie Burcombe was called up to present this year’s award to Mark Souster of The Times for his Rugby World Cup revelations of leaked documents on England’s performance. Souster’s story, said the judges, “led the news agenda for a fortnight”. 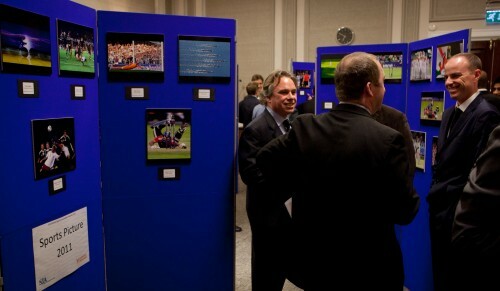 Click here for a list of winners, runners-up and highly commended entries. To view a selection of some of the award-winning images, click here.